In the late 1770s, there was a particular interest in the development of not only scientific and rhetorical language, but also architectural language. Recently, architects have been devising and picturing monumental tombs for the dead, evoking the picturesque and forms of infinity and vastness. And with the interest in depicting cemeteries and the newfound interest in science and hygiene, attention was turned to more public facilities, specifically hospitals, asylums, and prisons. as well as the criminal were thought to all have some forms of illness. Going to a hospital was just a sign of eventual death. 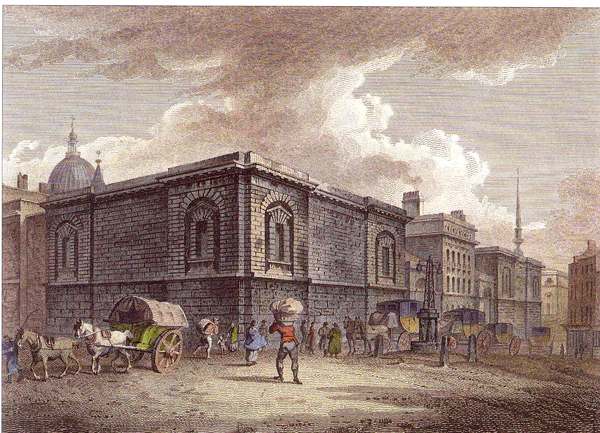 In the 1770s, however, these facilities were separated, with the design of public hospitals. what it is to heal the body and mind, and reform the soul; and, these attitudes were not just directed at the sick, but also all social/economic classes. 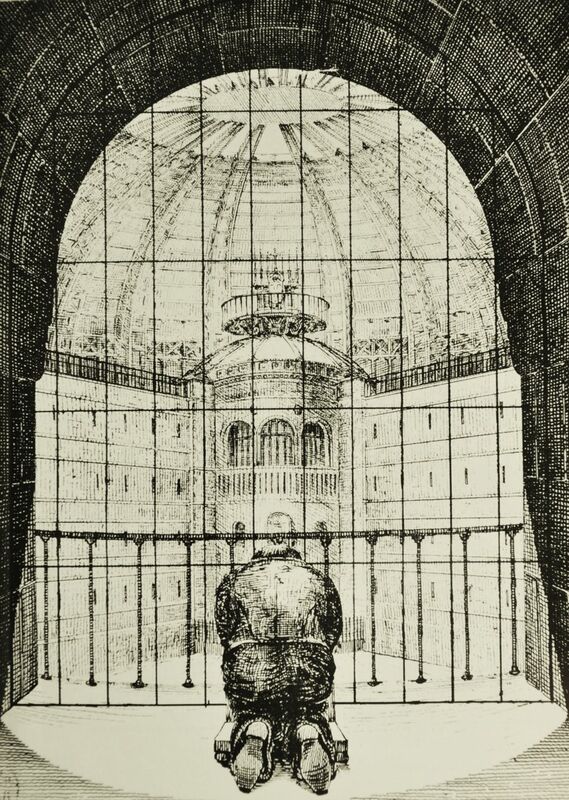 When scholars, social workers, and architects toured the existing institutions (of the hospital/prison/ asylum building), they were a) a bit horrified at the conditions and levels of hygiene, and b) thought these buildings were inadequate as solutions to crime, poverty, and reformation of the soul. Let’s also be aware if you were in debt, you were sent to debtor’s prison, not just given a bad credit score. 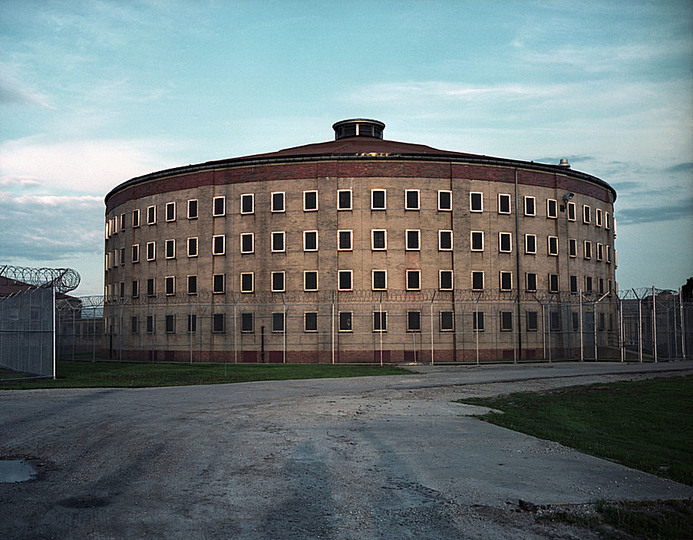 So, new forms of buildings and punishments were created: solitary confinement was introduced. 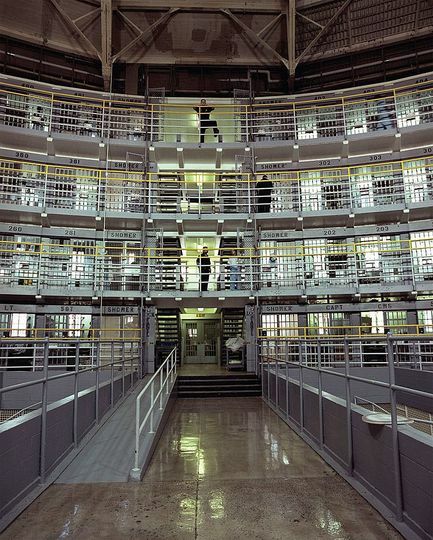 And complementarily, architecture of the prison was designed to send a message of confinement. The architectonic structure talked of “confused souls” and the power that holds them. Architecture should be “terrifying,” and because they were in the public centers of cities, were meant to terrify and subdue citizens; this is a new school of thought, as compared to the previous messages of public whippings and executions- how to punish the soul without actually whipping the body of the criminal. For one of the first times, architecture must reform the behavior. 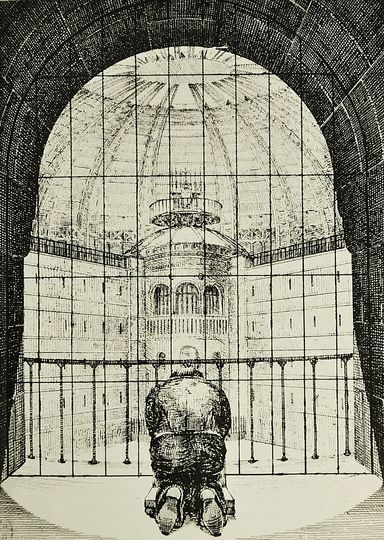 Interesting and rather innovately, the physical body was kept healthy by duct heating, and each prisoner had an 8 x 12’ cell with a bed. Music was played on Sundays. 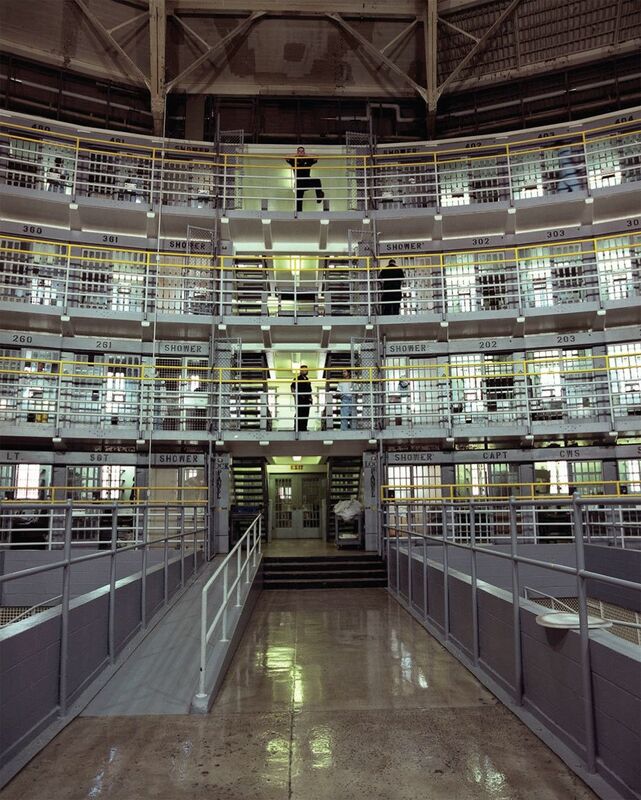 Bentham’s interest in mathematics showed through the circular axis of the floorplan: mathematical/scientific precision were now thought to be able to study and reform the criminal. Tools were used to measure and determine predispositions to crime (such as measuring skulls, which we know were used against Jews and people of close African descent). The structure is set on a circular axis, with all the cells facing a central tower. The cylindrical tower received minimal exterior lighting, however each cell received a bit of illumination. , however still quite dim. This dark tower was the start of a new term, surveillance. 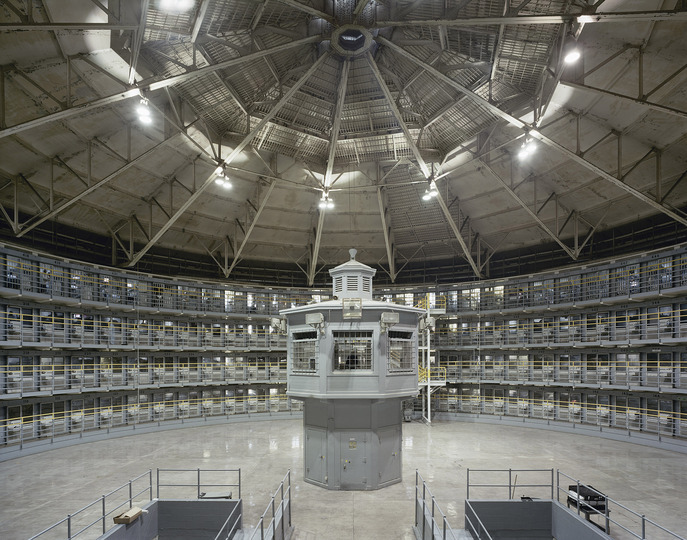 The prisoners cannot see who is in the tower, if anyone, who is keeping an eye on them, resulting in a fear of watchfulness and thus self-surveillance. The atmospheric gloom and complete silence provided the environment for contemplation; the architect can use sensations to access the soul and then reconstruct it. The “terror of the soul” and power were reinforced metaphorically: brutal carvings, such as packs of wolves devouring herds of helpless sheep, were placed in view of the prisoners. This was not only the birth of solitary confinement, but also constant surveillance of a “big brother” quality. The evolution of scientific thought in architecture, as it seems , has more influence on history than most people think. And if this “terrifying architecture” seems repulsive and disturbing, it’s actually still in practice in Illinois as we speak. 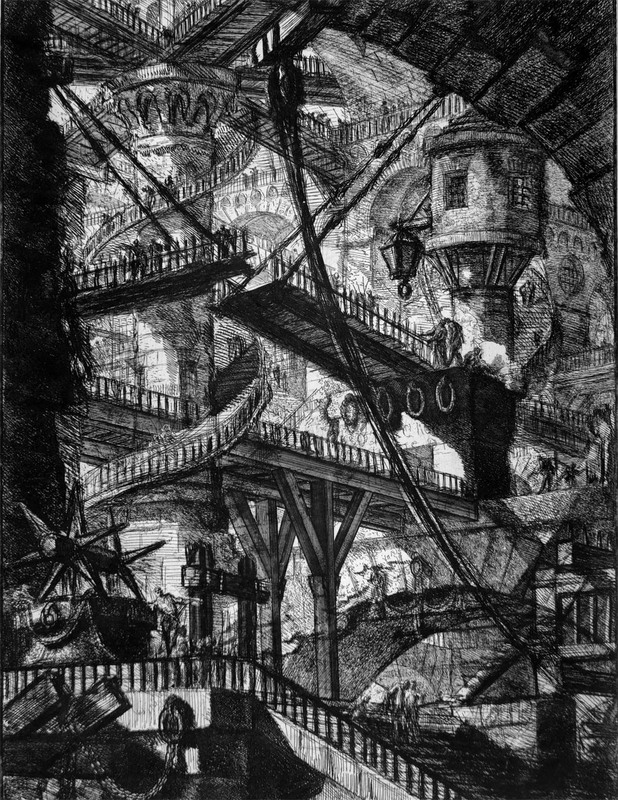 Piranesi etchings of the Carceri, which explored the authority and justice system of the Romans, and the cruelty of the emperors.